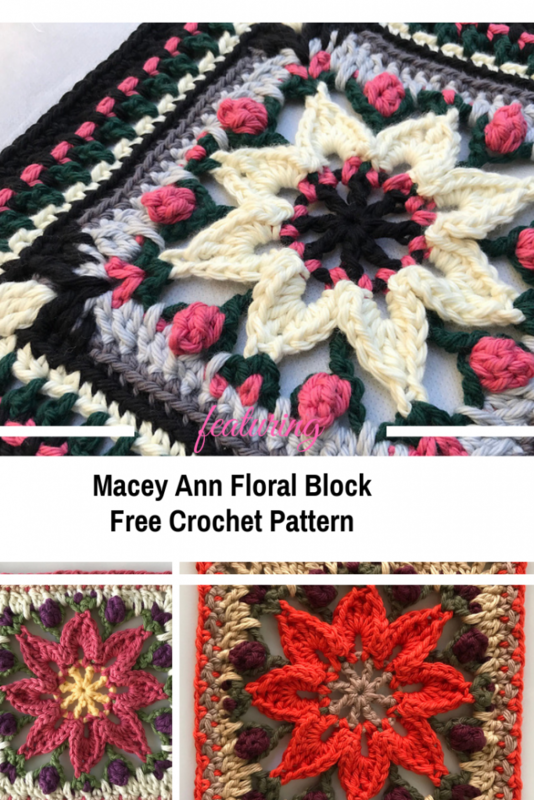 Homepage » Free Crochet Patterns » Gorgeous Floral Block For Blankets To Treasure Forever And Ever! 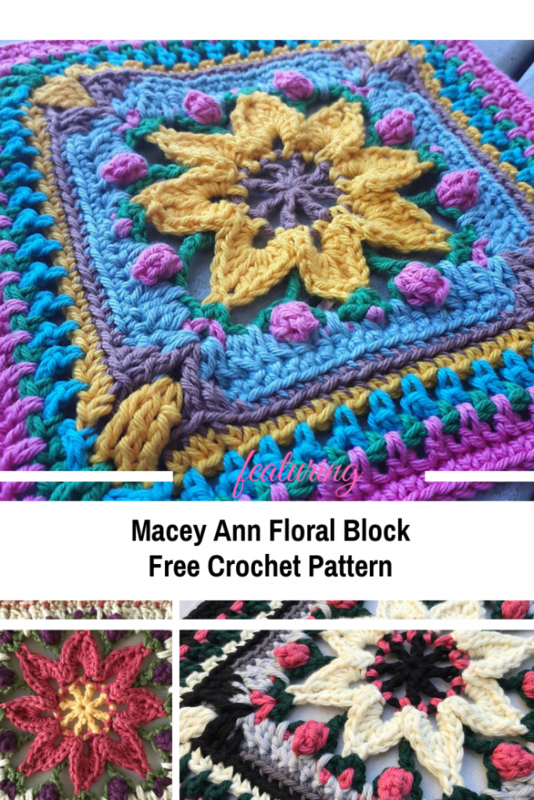 Make a beautiful blanket for sweet baby or child using this beautiful floral block free crochet pattern that will be treasured forever. Macey Ann by Pam Knighton-Haener also works well for the center square of a larger blanket. The written pattern is detailed and easy to follow with pictures to help each round and includes both mini and large size squares. stitch placement instructions, are to help identify the stitch. 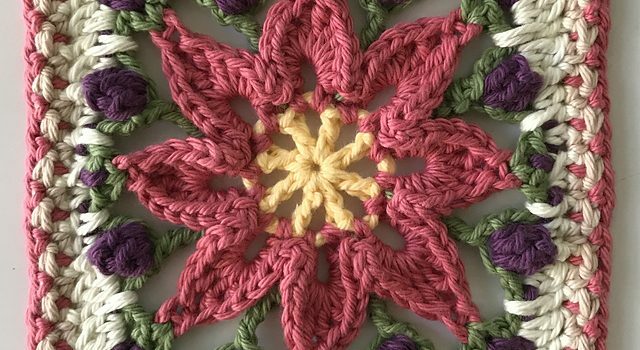 Check out the Floral Block Free Crochet Pattern with all the directions and full written pattern at: A Yarn of Serendipity.